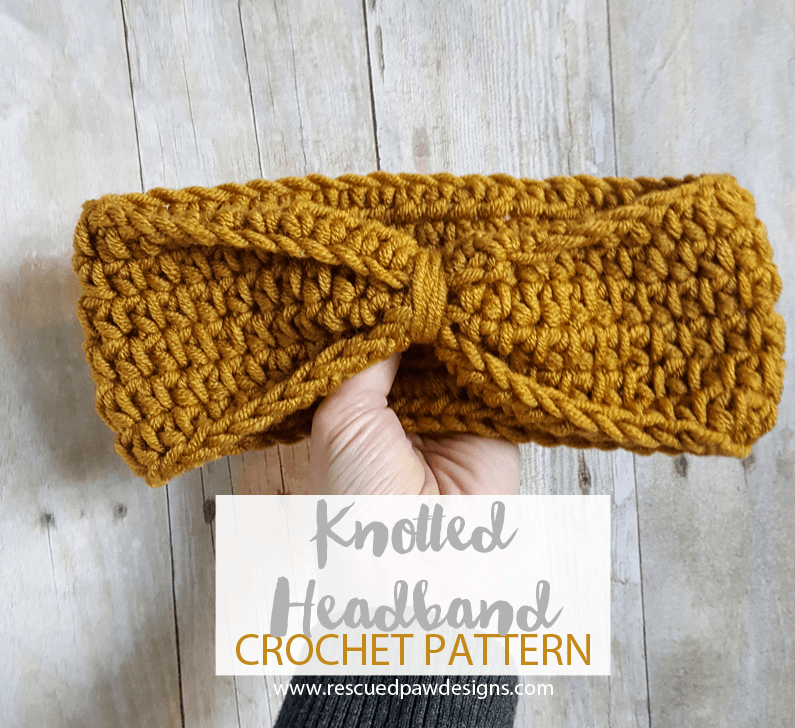 This crochet knot headband is the perfect project for a beginner who is looking for a quick crochet headband pattern to whip up! 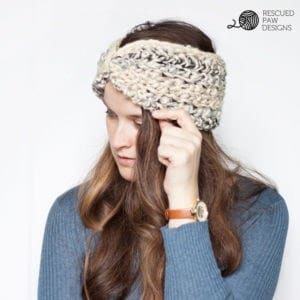 Read on down to find the full, FREE crochet headband pattern below. To make my knotted headband I used my favorite yarn, Lion Brand Woolspun in Honey. It is a bulky lambs wool blend fiber that is extremely soft and easy to work with. I have also used it to make other crochet projects like my Dreaming Clouds Crochet Ear Warmer and many more! It’s pretty awesome! 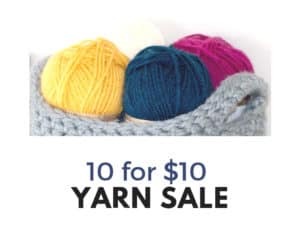 Click the yarn image below to check out this fun yarn! You may also like these favorites of mine too…. 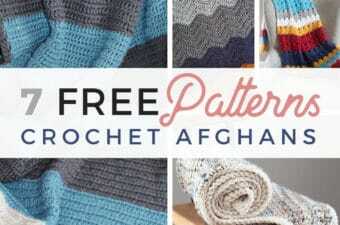 Make 2 with 1 Skein! Also, as a bonus, you can make TWO headbands with just one skein of yarn! : ) YAY! I love patterns like this. I hope you do too! 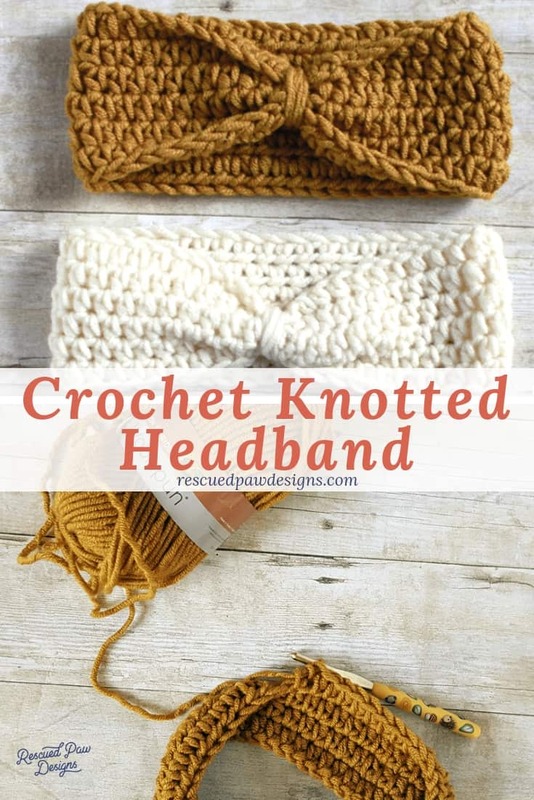 You can make the knotted headband in all different colors! 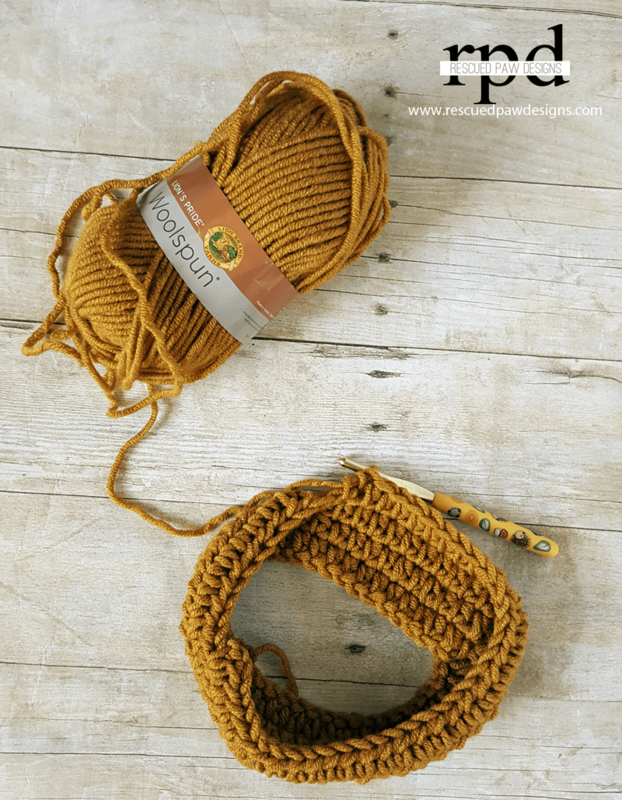 This headband is perfect for beginner crocheters since it uses only one stitch (the half double crochet) throughout almost the entire crochet pattern! Since we are only going to use one stitch it makes these headbands work up super fast! They seriously will be done in no time at all which makes any project even better! 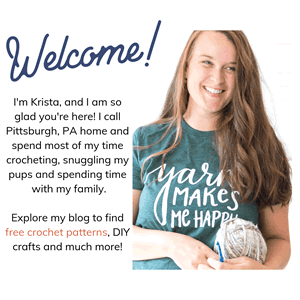 If you think you are ready to try this EASY crochet headband, then read on down for the full, FREE pattern! OH…. and Happy Crocheting Friends! Less than a skein of Lion Brand Woolspun in Honey or any Bulky (5) yarn. Crochet hook size J 6.00 mm or whatever hook is needed to obtain gauge. Gauge is very important for proper fit. If a different weight, brand of yarn is used than what is suggested then the headband will not turn exactly same. Finishing: Leave a 12 inch piece of yarn and then proceed to fasten off. Squeeze headband together, then wrap a 12″ piece around seam of headband 3 or 4 times to finish. Tie ends of yarn together and weave in throughout headband securely. Leave a 12 inch piece of yarn and then proceed to fasten off. Next squeeze the headband together, then wrap the 12″ piece around seam of headband 3 or 4 times to finish. Tie the ends of the yarn together and weave in throughout headband securely with a yarn needle. Thanks for stopping by to try out this headband! If you liked this pattern you’ll probably like these other crocheted headbands too! And like always if you have any questions feel free to ask! Also, don’t forget to stop by and check out my shop “Yarn Mamas” which specializes in designs just for makers! 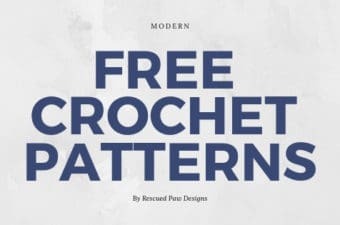 You may also like these free crochet hat patterns too..
How do I size this down to make a baby sizes? Am having a problem with the chain not stretching to fit the head. Every thing else stretches but my foundation chain. Help. Hi Krista , thanks for this beautiful peice of crochet . and what do these prefixes mean; sI hdc and ch ? If I wanted it slightly snug, would you say a foundation of maybe 40 chains would do? I don’t understand how a ch 36 can possibly for on a 3 yr or 10yr old head. Even trying to chain loosely rhis is very small. This is a gorgeous item. Thanks for posting. But I’m having a problem with the start making the actual circle. Do I slip stitch into the front or back? This is gorgeous but I’m having a problem with the start making the circle. Do I slip stitch into the front or back of the first chain? 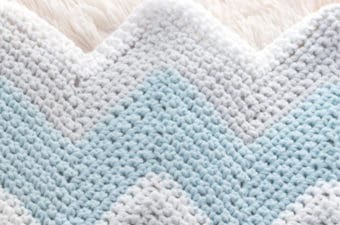 What is a half crochet stitch ?